If you can´t see the document, download it: doc! We arrive in Funchal, Madeira, known as the Pearl of the Atlantic. After a short drive we check in to the 5 Star Pestana Casino Park Hotel in Funchal. Our home for the next 6 nights. Madeira is a haven of natural beauty. The exotic colors of the flowers stand out from among the blue sea and the emerald green vegetation. Our first tour in Funchal & Monte. We start our tour at the local market, at the entrance you will be welcomed by the flower sellers wearing the bright traditional customs. 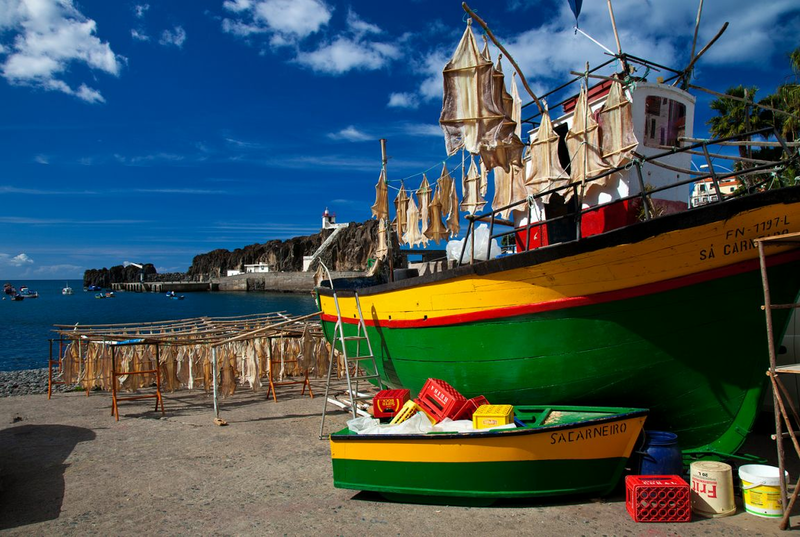 Enjoy a picturesque tour of the western side of the Island, along the coastal road toward the small fishing village of Camara de Lobos. We visit Cabo Girão, the highest promontory in Europe, at nearly 2,000 feet over the Atlantic Ocean. Prior to Lunch we will enjoy a view of Ecumeada, where on a clear day we can see the scenic over both the North and South Coasts of the Islaneds. A traditional Lunch awaits us in Porto Moniz before returning back to Funchal via Ribeira Brava. New Years’ Gala Dinner, Enjoy Funchal at your leisure, try your luck at the Casino located inside our Hotel, or pamper yourself at the luxurious spas, inside and outside pools, or Turkish baths. Take in the city sights, via the Monte Cable Car, offering spectacular views of the city nestled in the Atlantic Ocean. Later that evening, revel in the included World Famous New Year’s Gala Dinner (formal attire require). Our Hotel has a privileged view over the Bay of Funchal and after Dinner, our group will have front row sets to the spectacular New Year’s Firework Show that will light up the Funchal skyline. Happy New Year!!! Enjoy the first day of 2018 at leisure, take advantage of the 5 star hotel amenities to recharge your batteries, and take in the beautiful views of the Atlantic Ocean. Indulge in the ‘Old’ center, with its port and promenade, quaint and narrow winding streets, shops, cafés, bars and restaurants. We leave Funchal on the road to Poiso. Arriving in Poiso, we take a detour to Pico do Areeiro, the third highest point in the Island, at 1810 m. On a clear day the view over the island’s hinterland is remarkable. Back towards Poiso, heading through the Laurissilva, or primitive forest of Madeira, towards Ribeiro Frio. This is a place blessed by especially rich vegetation, with plants unique to the island. Your last day in Funchal, take advantage of this time to take in all that Madeira has to offer.. During your afternoon at leisure visit the Funchal Market. Containing an abundance of smell and colors, this market is divided into three parts. The flower section, the fruit and vegetable section and the fish section. Here you will find all kinds of tropical fruit and even some unusual ones that grow on the island. 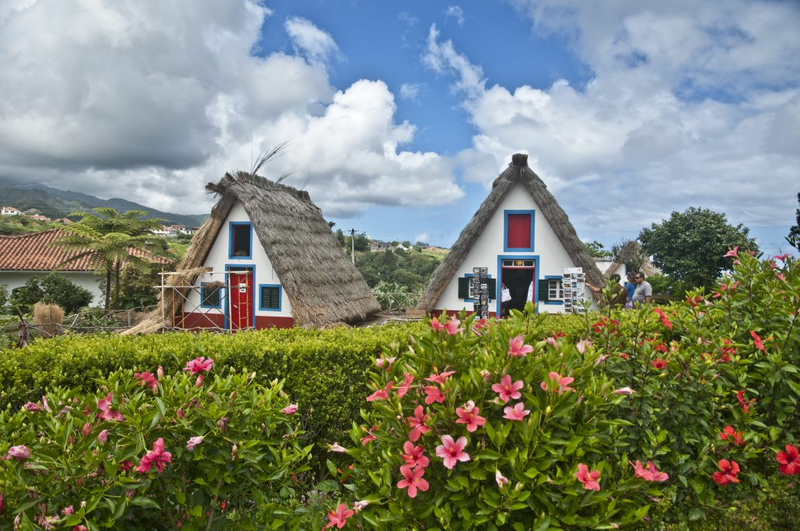 Later this evening, Join us for a fun night out at a typical Madeira Restaurant enjoying Madeiran food and hospitality. Taste the local dish “Espetada” (beef marinated in herbs, cooked on a large skewer over an open fire) while being entertained by folk dancers. After breakfast, it is time to bid “Adeus” to Madeira. Our memories of the past seven days will ensure that the last seven days will be forever linked with the Madeiran spirit and energy, and the great fellowship shared with our group. 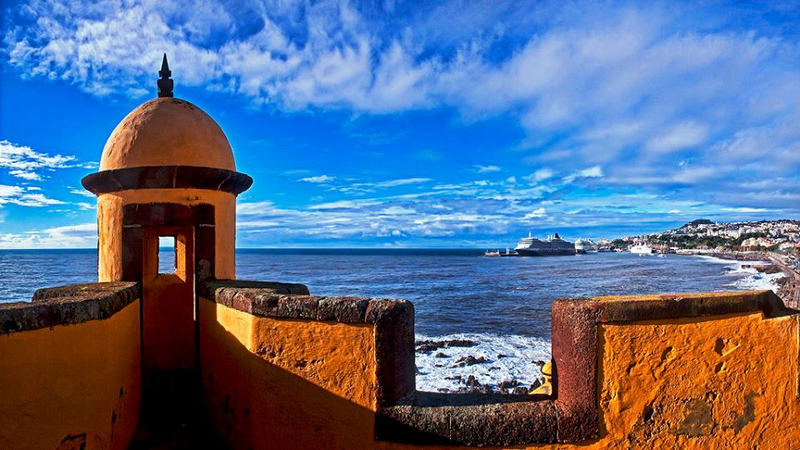 The Pearl of the Atlantic, Madeira awaits your return.